Special thank you to our co-hosts VoiceBoks, Pardon My Poppet, What’s Up? 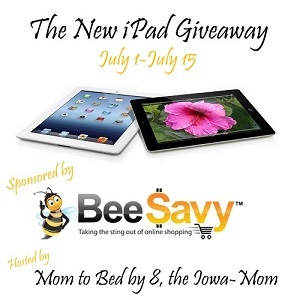 – Contests, Freebies and Everything Nice and To Sew With Love. I know what I want… but where should I buy it? Search for any product in BeeSavy’s search engine. BeeSavy show you all the stores selling that product along with the total price at each of those stores. 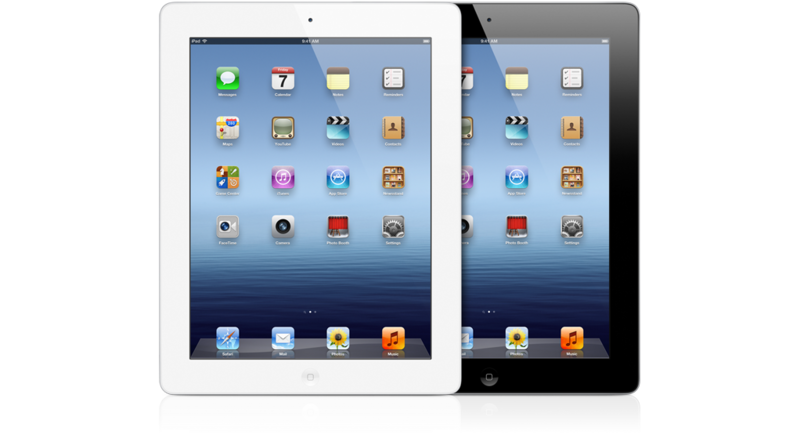 The total price includes the list price, tax and shipping costs, cash back discount, and coupon savings. I already know where I’m shopping… how do I save $? Even for you brand-loyal shoppers, you can save money every time you shop at your favorite stores. Click the Shop By Store button in the top right to get started. First, check for coupons at your favorite store. Next, click through to your favorite store and make a purchase. 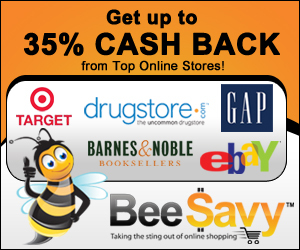 When you shop online through BeeSavy, you will earn a cash back discount. Your cash back discount will post to your BeeSavy account within 1-4 days. BeeSavy will send you a check or deposit your cash back into your PayPal account once your balance reaches $10. I don’t know what I want… Now what? You can browse popular products by clicking the Shop by Category button in the top left. You will see the most popular products in hundreds of different categories. Feeling generous? Donate your savings to a charity. When you request a cash back payment, BeeSavy gives you the option to donate a portion or all of your cash back to a charity. Just choose a charity and how much you want to donate and they’ll take care of the rest! It’s a win-win-win. With most forms of marketing, online retailers must pay upfront with no guarantee of results; however, with cost-per-sale marketing, online retailers only pay BeeSavy when it generates a sale. Online retailers choose a commission rate that fits within their profit margin, thereby ensuring a positive return on their marketing dollars. By giving most of this commission to the purchasing customer as a cash back rebate, BeeSavy utilizes this online retailer marketing method to save its customers money that traditional comparison shopping websites cannot match (due to their cost-per-click revenue model).